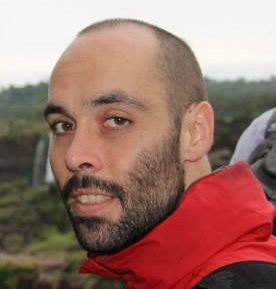 Maarten Geeroms obtained an MA in Spanish Literature and Linguistics from Ghent University (2016), where he is currently reading for a PhD in Hispanic literature. His research focuses on literary memory formation in the aftermath of the last Argentine dictatorship (1976-1983), concentrating specifically on the narrative output of those who lived through the conflict as children or adolescents. Firstly, his research consists in exploring the impact of narratological innovations introduced by the fictional work of the so-called “children of the disappeared”, investigating how these formal shifts transcend the conventions of post-dictatorial testimonial literature and influence the appearance of subjects and perspectives previously unbroached by the narrative of the victims (e.g. bystanders, accomplices, etc.). A second objective is to examine in which ways these narratological and thematic changes have recently been assimilated by contemporary authors whose parents – despite their ties to the political struggles of the sixties and seventies – do not belong to the ranks of the victims of state repression. In this way, this project aims to provide insight in how recent Argentine memory literature allows for the inclusion, in the process of memory production, of voices other than those of the directly affected.